Are you wondering why Keane Wonder is classified here as a town rather than just a mine? Scroll to the bottom of this page to read a statement on that issue. Prospecting in the Funeral Mountains started as early as the 1860s but no strikes were made that were significant enough to cause a rush to the area. It wasn't until the first decade of the 1900's that mines were established and anything like a rush would occur. The Keane Wonder Mine, discovered in 1904, was the first major strike in the area. It would also end up being the longest lived camp and the only successful mine in the entire Funeral Mountain region. 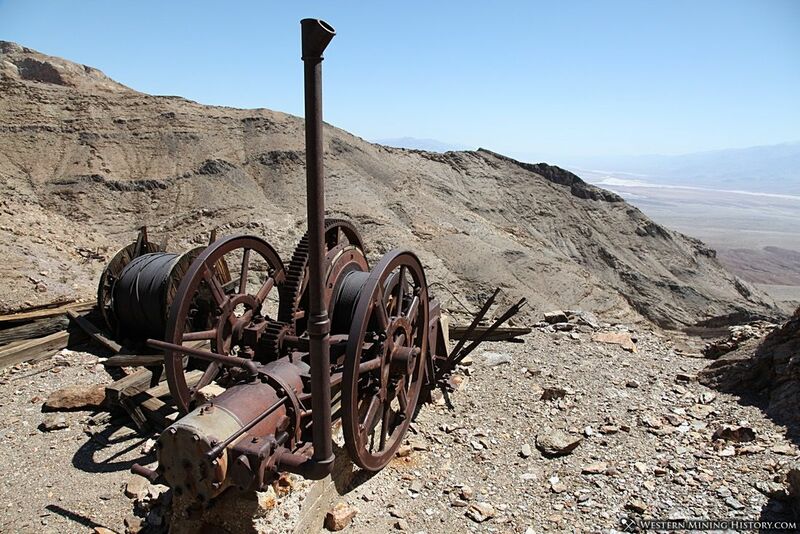 Jack Keane had been prospecting with a partner in the Death Valley area since the late 1890s. It was 1904 that he would make the discovery that would become the famous Keane Wonder mine. The location of the mine was on a steep ledge high in the Funeral Range - a difficult location in both terrain and climate. Keane would need capital to open his mine, and in 1905 he was able to secure funds from an investor in Ballarat. The location of the mine was extremely remote in those days. 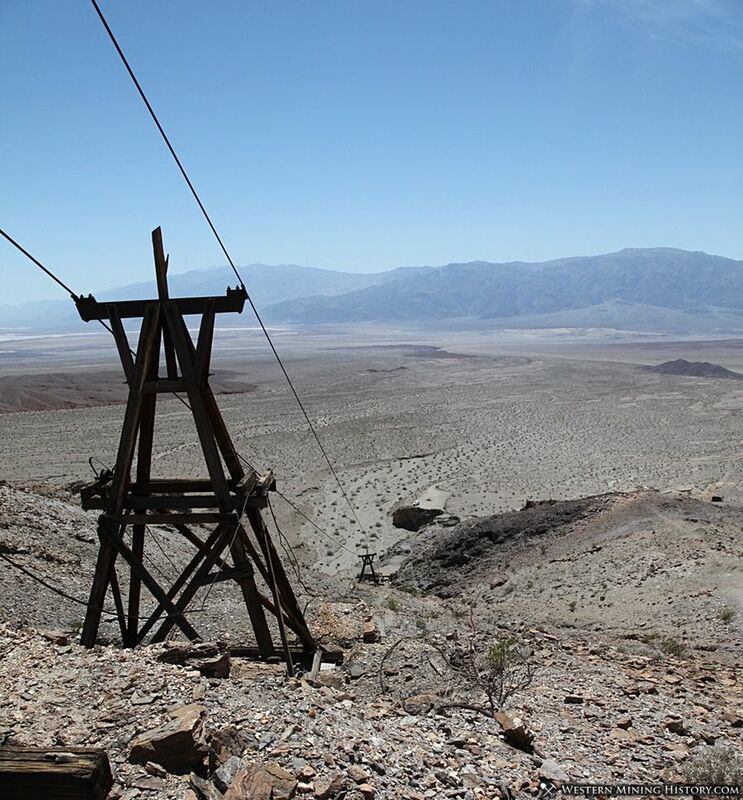 The Rhyolite rush was yet to happen later that year, so the closest supply point was Ballarat almost 70 miles away across the torturous valleys and mountains of Death Valley. Initial development of the mine was slow, and by summer of 1905 Keane's investor had pulled out. He was able to keep development of the mine going both by taking on new investors and through the production of high-grade surface ore at the mine. 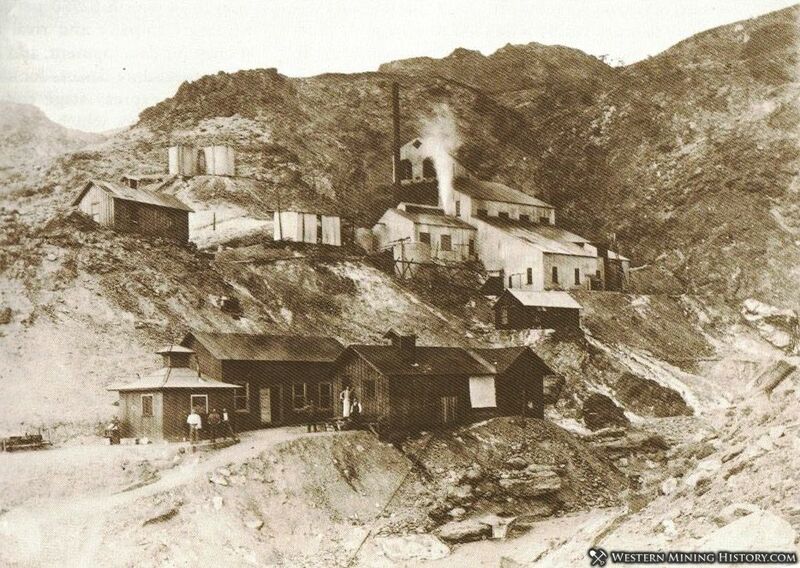 Keane and his partner were able to keep the mine producing at a basic level until August 1906 when the operation was purchased by a San Francisco company led by Homer Wilson, an experienced miner from the Mother Lode mines of California. Shortly after purchasing the Keane Wonder Mine, Wilson's company announced that a stamp mill and aerial tram would be built at the site. Procurement of supplies remained difficult at the remote location and weather and terrain made construction difficult. The summer weather was so hot that a construction shed was built to provide shade for the workers. Despite the difficulties the tram and mill were completed and began operations in October of 1907. This new infrastructure would keep costs down and result in the mine turning a profit for many years. There were two camps at Keane Wonder - the mill camp and the mine camp. The mill camp would have housing for miners, a store, and from 1912 to 1914, a post office. The mine camp, a little over a mile up the steep mountain side from the mill, had a boarding house for miners among other mine buildings. The Keane Wonder Mine would operate until 1916 when it would finally close for good, approximately ten years after first production. 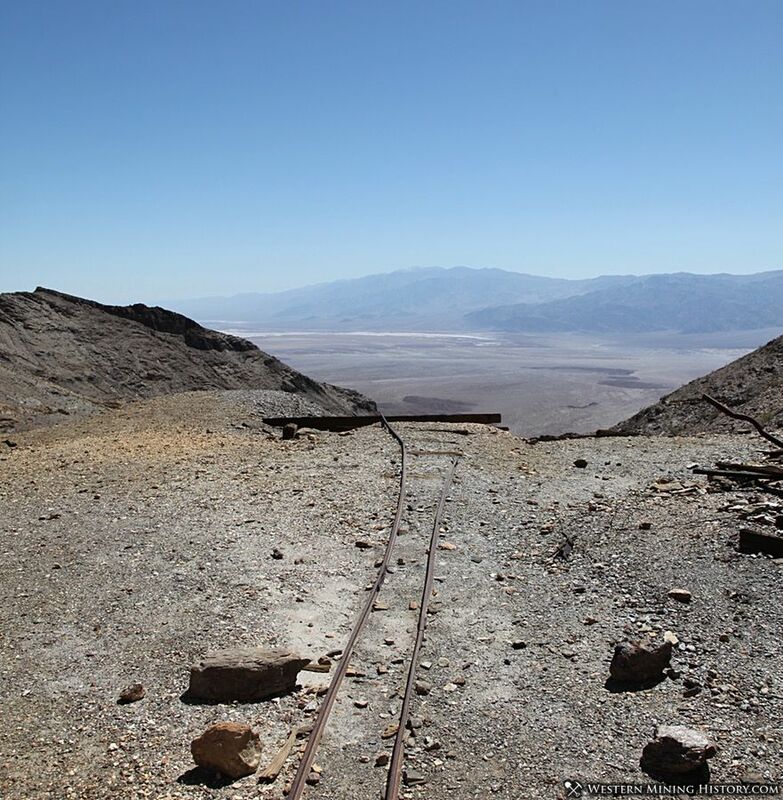 This long run would make the mine one of Death Valley's longest running and most successful mines. 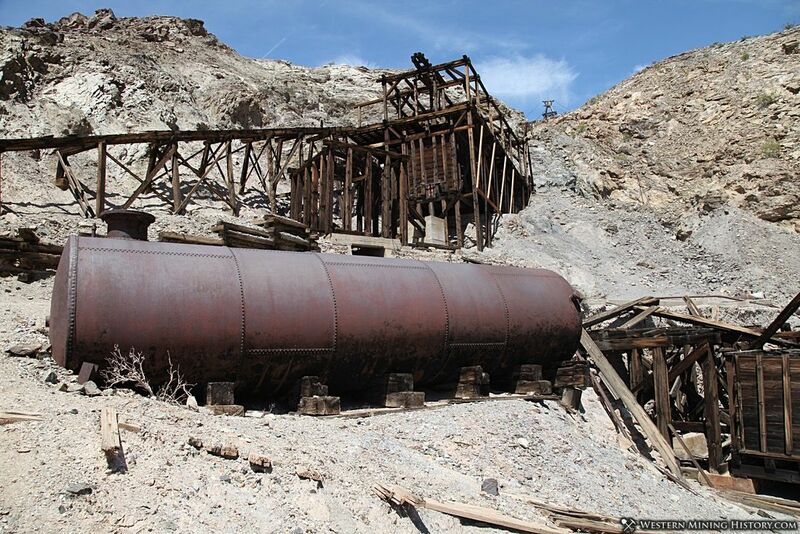 Today the Keane Wonder Mine is a protected site in Death Valley National Park. Remains of the mill are still in place, as well as most of the aerial tramway infrastructure. The mill site can be accessed by vehicle and the mine site by a difficult, roughly 3 mile round trip hike. Is Keane Wonder a Mine or a Town? Classifying Keane Wonder brought up the question: when does a mine become a town? Many mines had boarding houses and a full time population of workers but that didn't necessarily mean that a town was born at the mine. I believe that the answer to this question lies in the overall setting of the mine in relation to nearby towns and camps. Some mines were near established mining towns that had things like stores, restaurants, a post office, and other services that would serve a community. Those mines would not need to establish their own services as they were available nearby. Other mines, like Keane Wonder, were so remote and in such difficult locations that the mine would have to establish its own camp to provide mine workers with the basic essentials of life. Keane Wonder lasted longer than any of towns in the Funeral Mountains. In addition to having a store and employee housing, Keane Wonder also had a post office, which sets it apart from other mine camps and in the opinion of this site, qualifies the camp as a town.